Providing a modern approach to preserving and sharing history about Blue Earth County, our History Center highlights the heritage of this county. 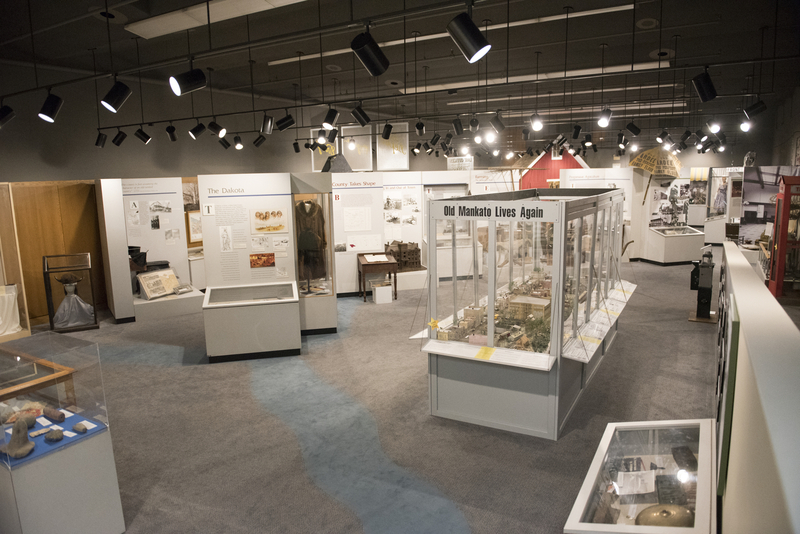 The displays throughout the History Center work to bring history to life, inspiring all who interact with us to personally and intimately connect with Blue Earth County’s history. On display from December 8, 2018 – March 9, 2019, this new temporary exhibit is from the Minnesota Humanities Center, Minnesota Indian Affairs Council, and the Smithsonian’s National Museum of the American Indian. *The museum features hands-on history fun in the Discovery Lab, a diorama of 1880s Mankato, treasures from local author Maud Hart Lovelace, an interactive pioneer cabin and barn, plus traveling exhibits. Admission fees apply for this self-guided tour.